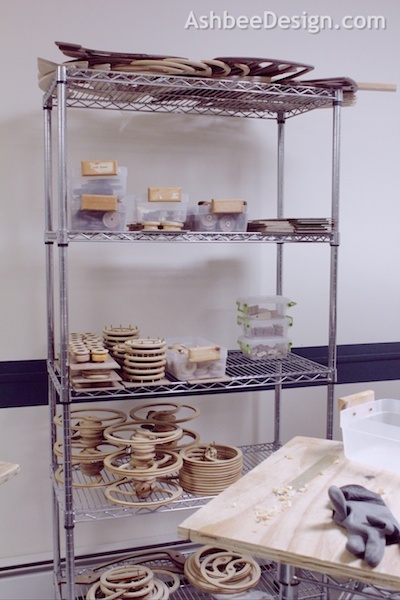 We have done lots of different things to improve organization in David's workshop. Rolling carts are one thing that has made a huge difference in productivity for David. It all started with one short cart. He had mentioned sometime ago that it would help if he had a moving surface to roll along with him as he completed tasks on each of his sculptures. A quick Amazon search yielded this very functional cart. He added the plywood top surface. David set this up and moved the items he uses ALL THE TIME into it. That is now their permanent home and he spends much less time hunting for them. Also, he can wheel this collection to whatever part of the shop he is working in. Side benefit - I can find things when I share his work space for my projects! I have been buying a huge stock of Sterilite clip containers from our area Walmarts and we have been improving on the organization with these multi-sized containers. 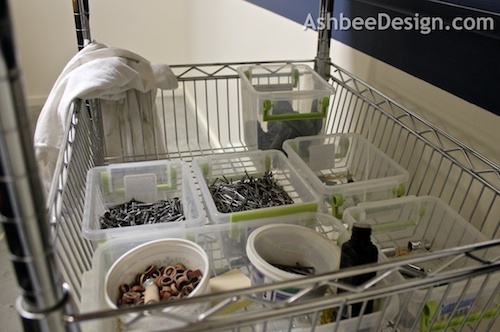 David added a grouping to his cart for additional organization. I tell you, we probably should have purchased stock in Sterilite before we started this re-org. I keep going back to the store for more. After the original short cart, David decided to try a tall cart for holding his parts in production. He went back on line and ordered this one. He was especially pleased with the quality and the large wheels. This one also worked well. 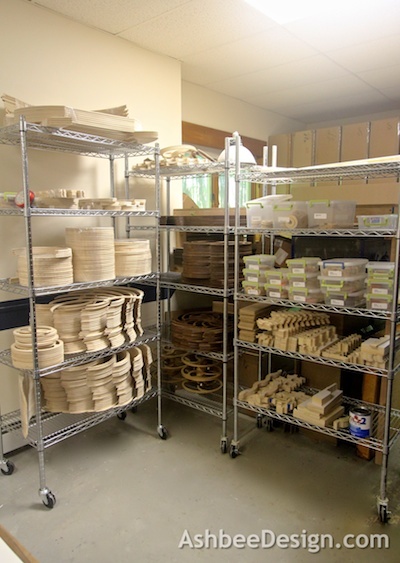 He found his shop was better organized as he stored his ongoing projects on rolling shelves. He rolled the pieces to the tools and started seeing savings in time. His flat surfaces were also less cluttered because pieces in progress weren't collecting there. Less time was wasted moving parts and clearing surfaces. David now has 5 carts on wheels, the one short one and four matching tall ones. We design cart "parking spaces" in various locations around the studio. 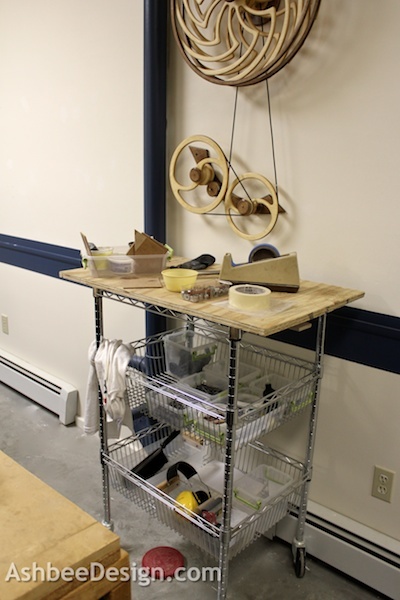 I wouldn't have guessed that we could have just attached wheels to our shelving! Wheels would make shuffling things around the storage unit a whole lot more convenient especially when new things need to be added and the room needs to be reorganized!